Spring is just around the corner and this crocheted granny square motif tote brings out the best of recycled crafting with a colorful Spring theme. 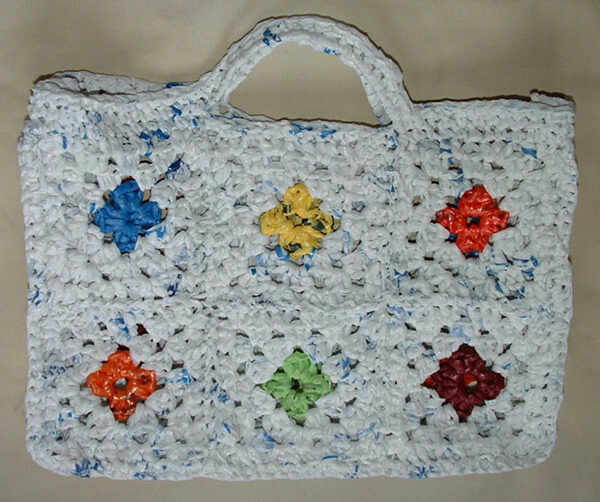 The motifs are crocheted from recycled plastic bags in six different colors to create a unique panel for each side of the tote bag. Think Spring so it hopefully gets here soon as this snow and ice is getting old. Enjoy this recycled bag project and happy green crafting to all!